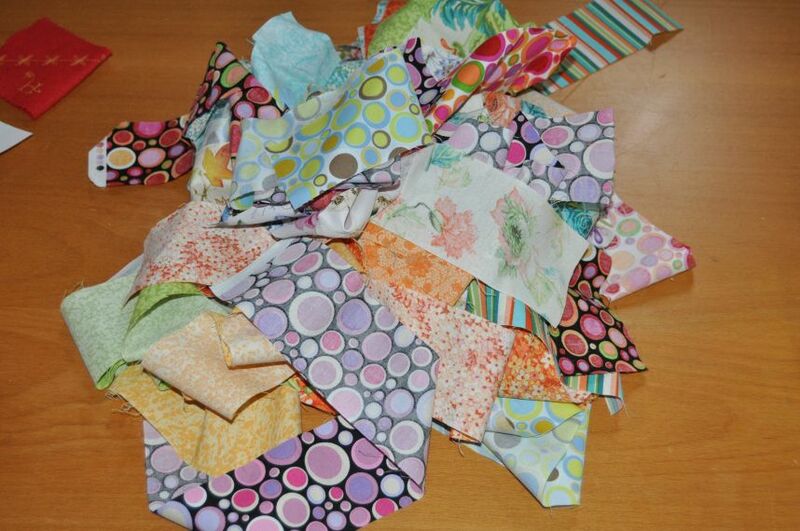 This unpromising pile of 2.5″ strips became scrappy “Round the World” blocks (tutorial over at Quiltville). 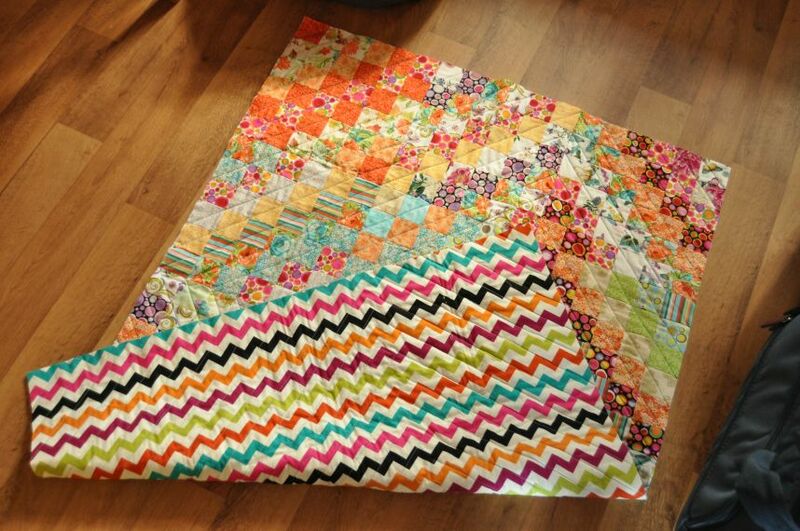 It’s a fun, fast way to assemble blocks, it’s strip-roll friendly and I can see it being a very handy pattern for those occasions when I need a quilt, STAT! (Like now, when the recipient of this quilt is due this month.) For my version, I used three different strip rolls I had kicking around – all of one, about half of a second and a handful from a third. Thankfully, it’s quite forgiving as regards to combinations of colour and prints. I really hope that the baby’s a girl and that her mum doesn’t mind bright colours! After pressing the blocks, I skiffled them around a bit to try a chevron layout (I didn’t like it) and then settled on a diamond layout that I quite liked. Luckily, I still had a nice piece of the chevron fabric I used on the back of this quilt and to my delight it was just big enough for this project. 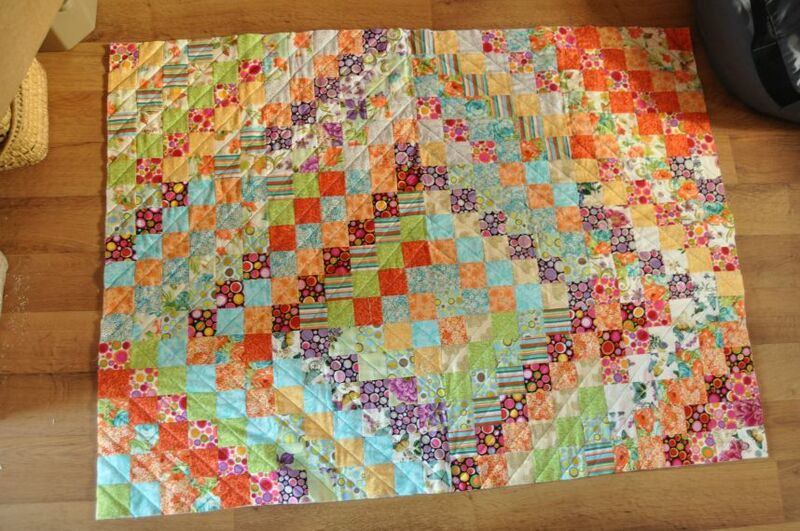 The chevron colours work well with the colours in the quilt top. 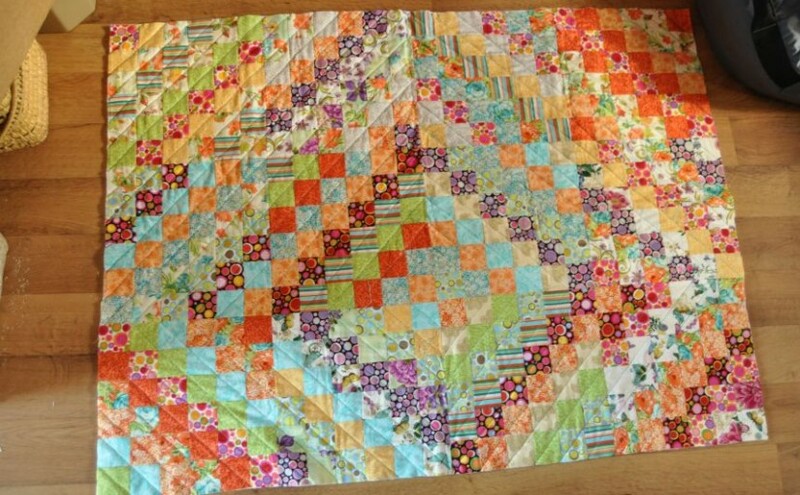 What a fun and happy baby quilt, beautiful gift.